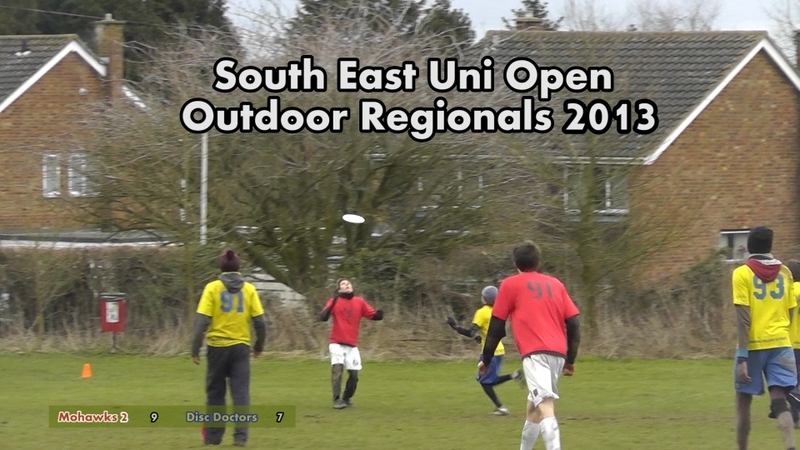 South East University Open Outdoor Regionals, held in St Albans on 9-10th March 2013, decides the Uni teams who will progress to Division 1 and Division 2 Nationals in a month’s time. Top 3 go through to Division 1, and positions 4, 5 and 6 qualify for Division 2. With 24 teams at the tournament, there is everything to play for! 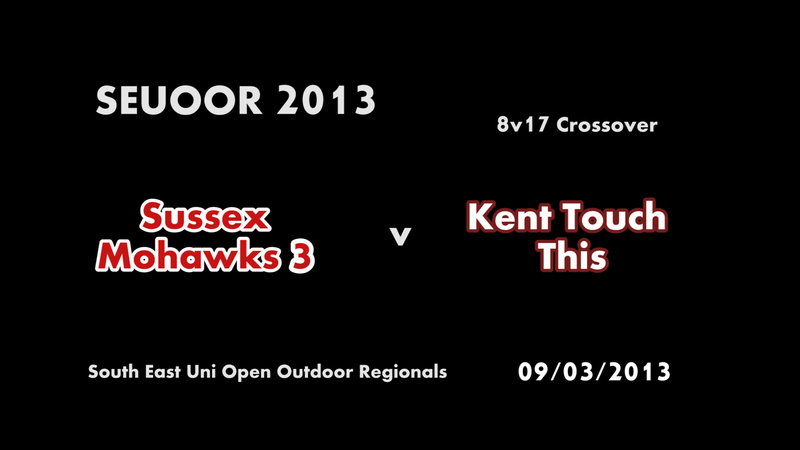 There is also some footage from Mohawks 3 v Kent (crossover), and Mohawks 2 v Surrey (semi final). 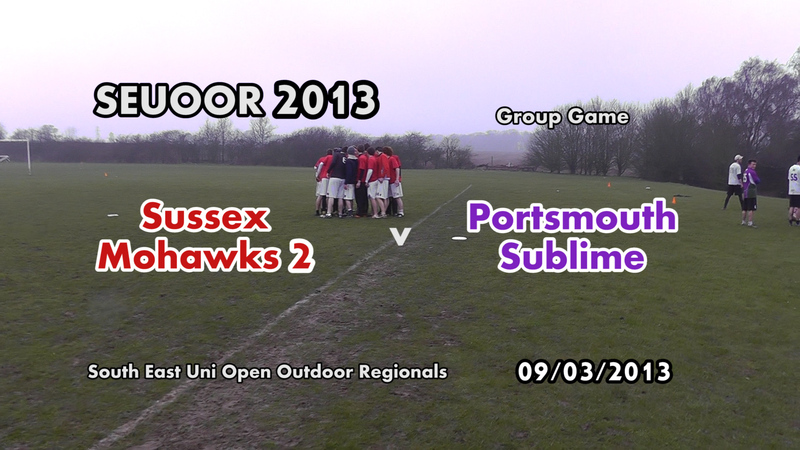 It’s recommended you buy the SEUOOR 2013 Subscription as paying for the individual games will be more expensive! 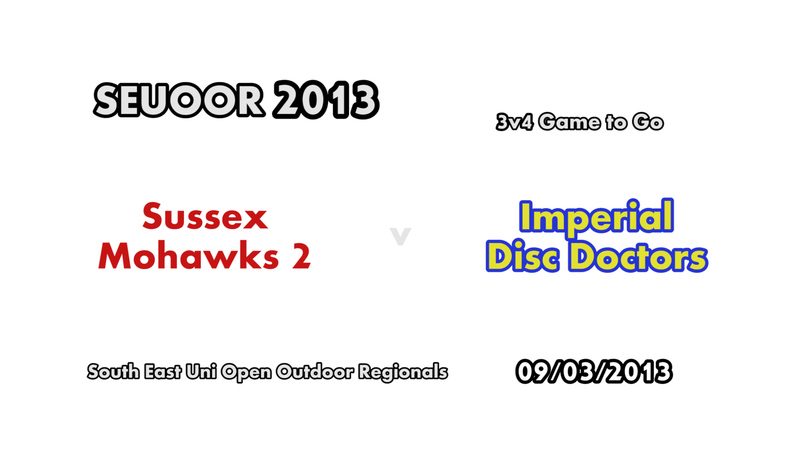 Sussex Mohawks 2nd team face Imperial Disc Doctors in the all-important 3v4 game to go to Division 1 Nationals. 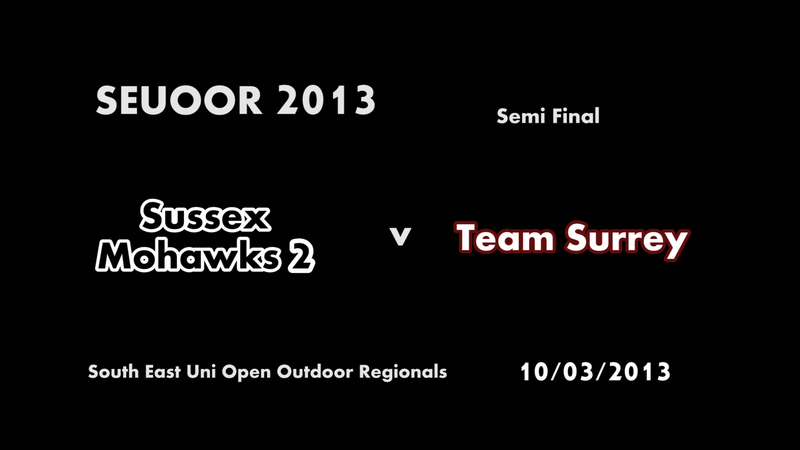 Sussex Mohawks 1st team face Brighton Panthers in the first game at South East Uni Regionals 2013. Filmed in standard definition - not HD. 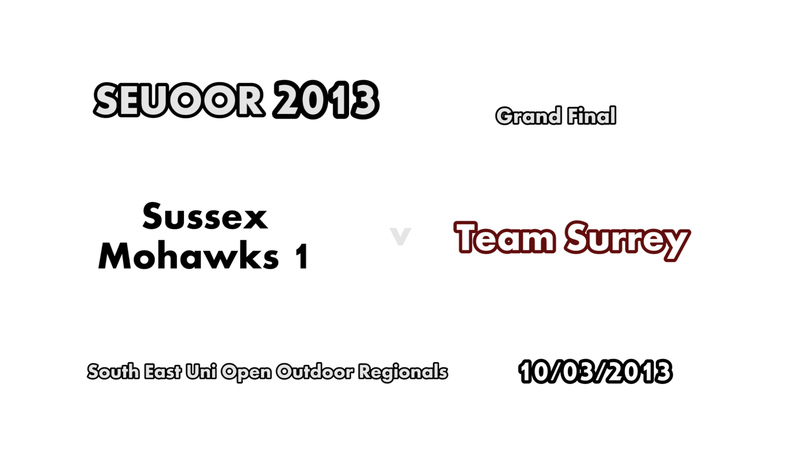 Sussex Mohawks 3rd team face Kent Touch This in a tough 8v17 crossover match.